A large crowd was on hand and nearly 40 students were in attendance to receive scholarships for successfully completing intern and apprenticeships this year. On Wednesday evening I attended our first annual Intern-Apprentice Celebration Banquet. 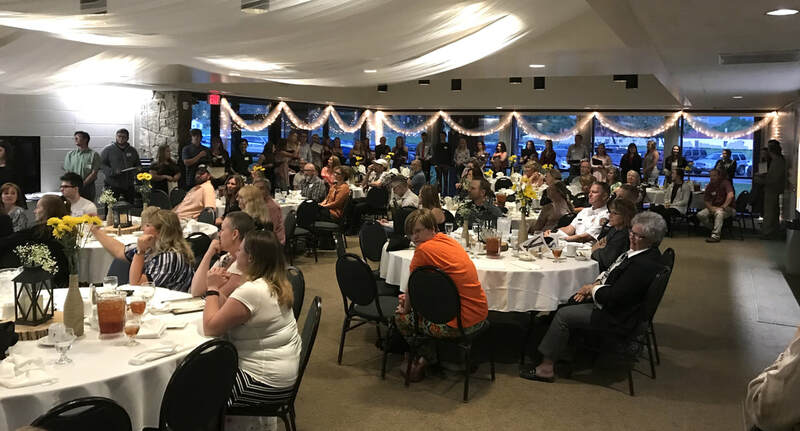 At this gathering, I observed Cañon City High School students being honored for completing work experiences with the 52 community business partners who offered such opportunities to our kids. The event was spectacular and I just can't thank Regional Intern Coordinator Lisa Tedesko and High School Business Teacher Lori Coppa enough for the work they have done establishing this program! Cañon City Middle School students Lucy Chan, Ellen Chan, and Brooke Watley coordinated a silent auction during the CCMS Saturday performance of the musical Mulan. Proceeds are being donated to Alzheimer's research. I want to commend these young ladies for the great work they did organizing this event! The Cañon City High School Forestry class was treated to a Flight for Life landing on school property on Friday. This was in conjunction with the many things they are learning about fighting wildfires. Kudos are also due to Cañon City Middle School and Harrison K-8 students for outstanding spring musical performances. CCMS performed Mulan the Musical and Harrison did a fine job on their performance of Annie! 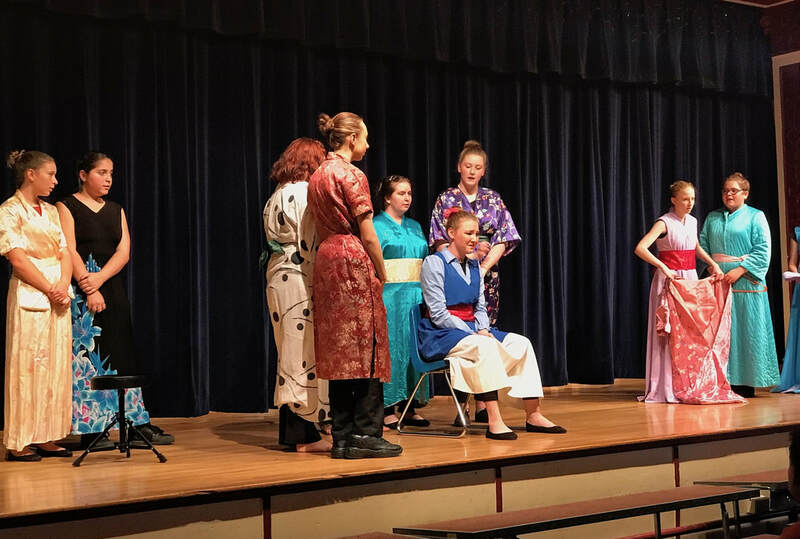 CCMS students performed in Mulan last week. 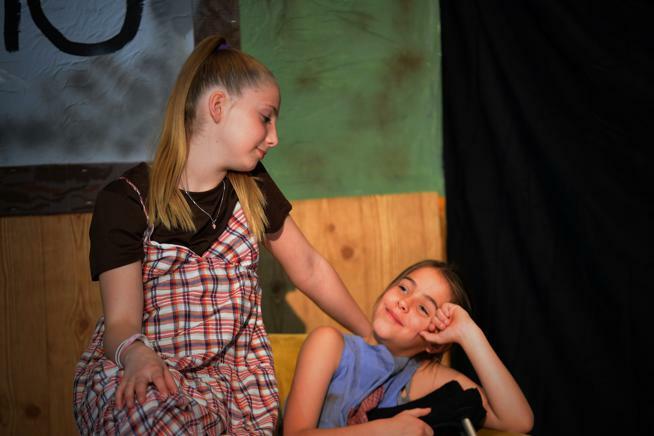 Harrison students put on the musical Annie. Board members honored Harrison staff in front of nearly 700 students. On Friday I attended a Dream Big STEM Exposition planning meeting coordinated by the Fremont Economic Development Council. We will hold this event at Florence High School on Friday, October 26th. It will give roughly 250 Fremont County high school students the opportunity to explore careers in computer programming, robotics, and aviation careers. Last week Board of Education representatives made it out to each school to show its appreciation of employees during Staff Appreciation Week. At each stop teachers and classified employees were honored in front of their student body. The Board of Education hopes to make good progress on its 2018-19 preliminary budget this week. The Board will review revenues and proposed expenditures at a Work Session on Monday afternoon, with the major goal being to determine how much can be made available for staff salary increases. Speaking of staff compensation, classified salary negotiations are scheduled to take place this Friday, while certified salary negotiations are slated for Monday, May 21st. 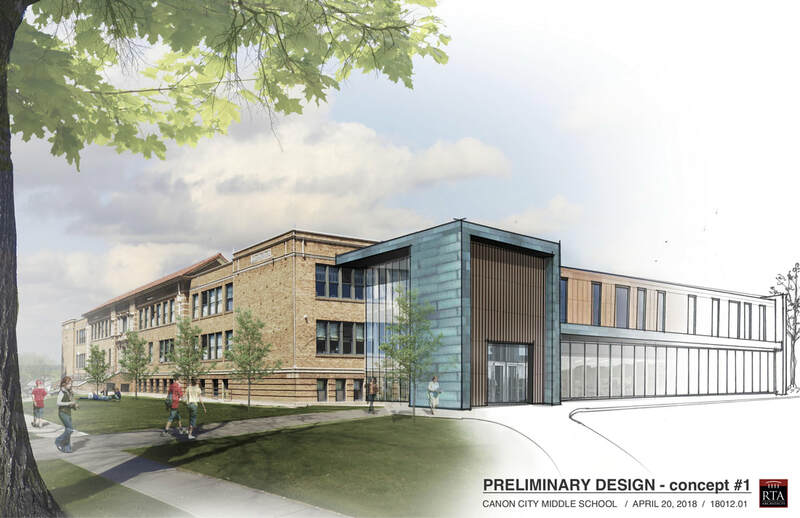 Wednesday is a big day as Director of Operation Jeff Peterson and I will trek to Denver to present our Washington Elementary new school, and Cañon City Middle School major remodel/renovation projects to the Building Excellent Schools Today (BEST) Board. The BEST Board will be meeting from Wednesday through Friday and we should find out if any of these grants have been recommended for funding by the end of the day Friday. RTA's rendering of how a remodeled CCMS would look with an addition to the North and East of the building and the removal of the 1970s wing. A Flight for Life Helicopter landed at CCHS last week. Though there was no school on Monday I worked on communication items and had a lunch meeting with Board President Larry Oddo. During the week I attended teacher/staff appreciation events at Washington Elementary, McKinley Elementary, Cañon City High School, Cañon Exploratory School, Lincoln School of Science and Technology, and Cañon City Middle School. I also attended a monthly Cañon City Police Department touching base meeting, a weekly Design-Build construction planning meeting, and our Regional Wellness Advisory Team meeting. On Thursday morning I attend a Dream Big STEM Expo planning meeting and then a friend of the family's CU Boulder graduation. On Friday I had breakfast with Board Director Shad Johnson, attended a regional superintendent meeting, met with CCHS Principal Bill Summers, and finished my week at the CCMS staff appreciation gathering. Board Directors Larry Oddo and Lloyd Harwood spend time with a friend before attending the Lincoln School of Science and Technology Staff Appreciation Assembly. My schedule for this week includes a regular board meeting and work-session, a few parent meetings, a district safety meeting, superintendent advisory council, a construction meeting, CCHS Assistant Principal Interviews, a District Accountability meeting, a trek up to Denver to present our new school grants to the BEST Board, and an all-day classified salary negotiation session.